Lush Fab Glam Inspired Lifestyle For The Modern Woman: Bizarre Beauty News: Meet the Woman With The World's Longest Nails! 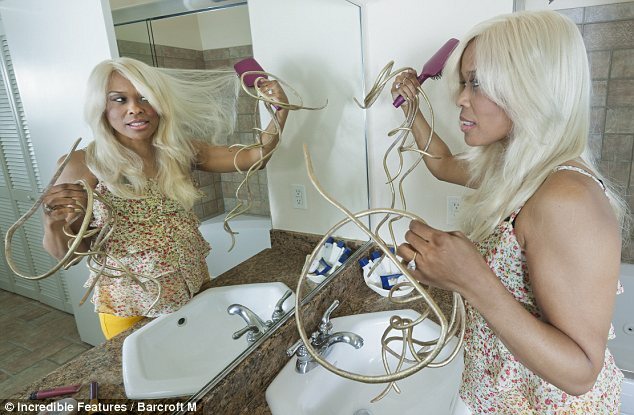 Bizarre Beauty News: Meet the Woman With The World's Longest Nails! 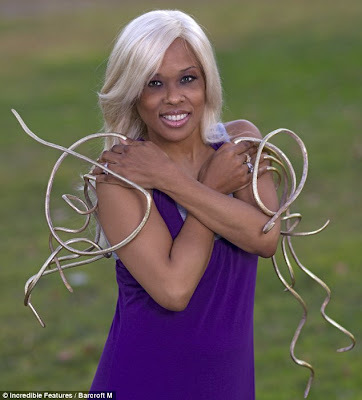 Nevada singer Chris Walton will be featured in the 2012 Guinness World Records for her 20 feet long finger nails. 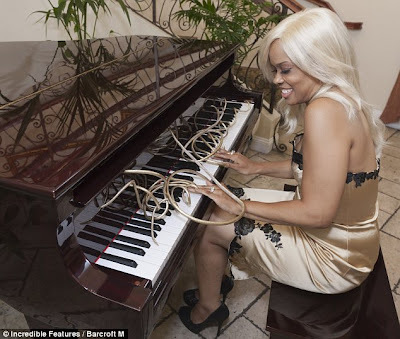 The 45 year old singer and grandmother has been growing her nails for 18 years and insists that she needs no help caring for her self despite the excessive long and curling tendrils attached to her fingers. Are you fascinated or freaked out by Chris Walton's nails? Leave a comment below. What about hygiene this is nasty. Why do they curl like that? I was expecting some xmen wolverine nails lmbo. Geeesh gives me goosebumps just looking at it. She can never hug anyone. Ew.